The Beatles star, who died in 2001, would have turned 75 today. 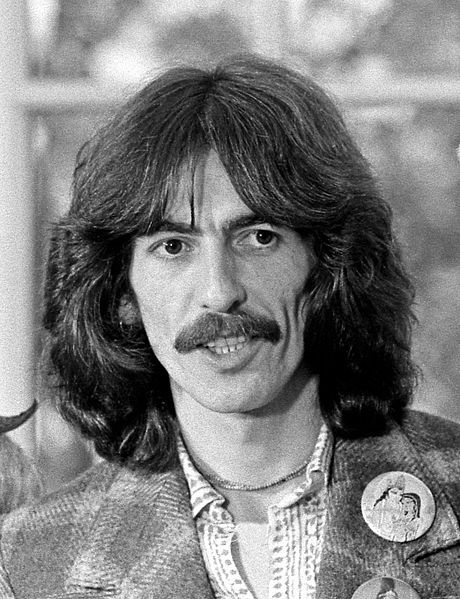 George Harrison, singer, and songwriter, achieved international fame as the lead guitarist of the Beatles. During the mid-1960s, He became interested in the Hare Krishna movement, and over time became an admirer of Indian culture and mysticism, introducing it to the other Beatles and to their Western audience. 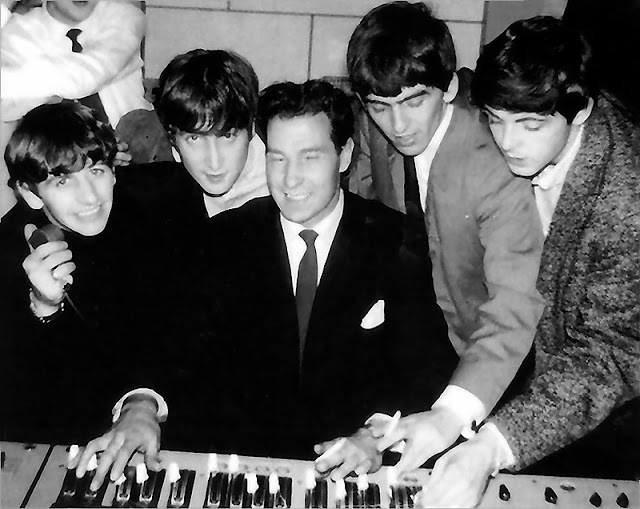 His songs with the band include “While My Guitar Gently Weeps”, “Here Comes the Sun”, and “Something”, which became the second most-covered Beatles song. George Harrison was born in Liverpool, on 25 February 1943, the youngest of four children of Harold Hargreaves Harrison and his wife Louise (née French). He had one sister, Louise, and two brothers, Harry and Peter. His mother was a Liverpool shop assistant, and his father was a bus conductor who had worked as a ship's steward on the White Star Line. His mother's family had Irish roots and were Roman Catholic. George was born and lived for the first six years of his life at 12 Arnold Grove, Wavertree, Liverpool, in a terraced house in a cul-de-sac. The home had an outdoor toilet and its only heat came from a single coal fire. In 1949, the family were offered a council house, and they moved to 25 Upton Green, Speke. In 1948, at the age of five, he was enrolled at Dovedale Primary School. He passed his 11-plus examination and attended the prestigious Liverpool Institute from 1954 to 1959. 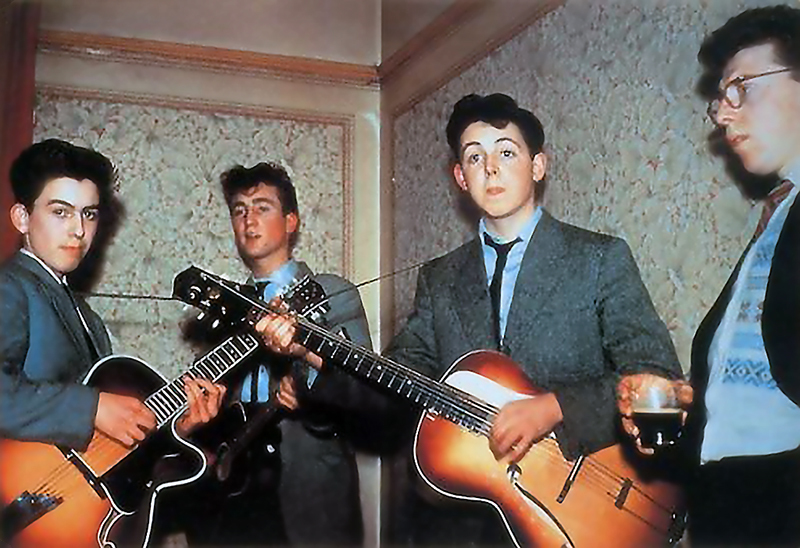 In March 1958, George auditioned for the Quarrymen at Rory Storm's Morgue Skiffle Club, playing "Guitar Boogie Shuffle". Lennon felt that Harrison, then 14, was too young to join the band. During a second meeting, arranged by McCartney, Harrison performed the lead guitar part for the instrumental "Raunchy" on the upper deck of a Liverpool bus.George Harrison soon began socializing with the group, and filled in on guitar as needed. By the time he turned 15, they had accepted him as a member of the group. By the time the Rubber Soul album was released on December 3, 1965, Harrison had begun to lead the other Beatles into folk rock through his interest in the Byrds and Bob Dylan, and towards Indian classical music through his use of the sitar on "Norwegian Wood (This Bird Has Flown)". The 1966 album Revolver included three of his compositions: "Taxman", "Love You To" and "I Want to Tell You". His introduction of the drone-like tambura part on Lennon's "Tomorrow Never Knows" exemplified the band's ongoing exploration of non-Western instruments. The tabla-driven "Love You To" was the Beatles' first genuine foray into Indian music; Harrison played sitar and tambura on the recording. According to ethnomusicologist David Reck, the song set a precedent in popular music as an example of Asian culture being represented by Westerners respectfully and without parody. 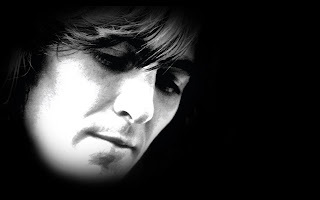 Harrison contributed other musical ideas to Revolver, including the addition of backwards guitar on the Lennon composition "I'm Only Sleeping". George Harrison was appointed Member of the Order of the British Empire (MBE) along with the other Beatles in 1965. They received their insignia from the Queen at an investiture at Buckingham Palace on 26 October. In 1971, the Beatles received an Academy Award for the best Original Song Score for the film Let It Be. He became the first recipient of the Billboard Century Award , an honour presented to music artists for significant bodies of work. George is listed at number 11 in Rolling Stone magazine's list of "100 Greatest Guitarists of All Time". George was diagnosed with throat cancer in mid-1997. He was treated with radiotherapy, which was thought at the time to be successful. Following the attack, Harrison was hospitalised with more than forty stab wounds. He released a statement soon after stating that his assailant, "wasn't a burglar, and he certainly wasn't auditioning for the Traveling Wilburys". In May 2001, it was revealed that he had undergone an operation to remove a cancerous growth from one of his lungs, and in July, it was reported that he was being treated for a brain tumour at a clinic in Switzerland. George died on 29 November 2001, aged 58, from lung cancer, he was cremated at Hollywood Forever Cemetery. George’s ashes were scattered at Varanasi, India, in the Ganges, Saraswati and Yamuna Rivers by his close family in a private ceremony according to Hindu tradition. George Harrison was posthumously inducted into the Rock and Roll Hall of Fame as a solo artist on 15 March 2004 by his former bandmates Lynne and Petty, and into the Madison Square Garden Walk of Fame on 1 August 2006 for the Concert for Bangladesh. On 14 April 2009, the Hollywood Chamber of Commerce awarded Harrison a star on the Walk of Fame in front of the Capitol Records Building. McCartney, Lynne and Petty were present when the star was unveiled. Harrison's widow Olivia, actor Tom Hanks and comedian Eric Idle made speeches at the ceremony, and Harrison's son Dhani uttered the Hare Krishna mantra. 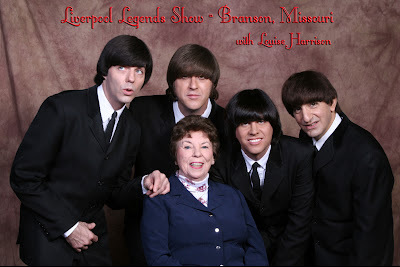 Georges older sister, Louse Harrison, who lives in Branson, a city in Taney County in the U.S. state of Missouri has been asked many times to write a book about her famous younger brother, George. Now she has finally relented. The 80-year-old former Sarasota resident scanned never-before-published photos, letters and documents that will fill the pages of the book. Louise is running the 'Liverpool Legends Show' in Branson, Missouri. 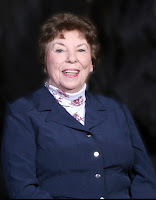 Louise Harrison published her book 'My Kid Brother's Band... a.k.a. The Beatles' on September 1st 2014.